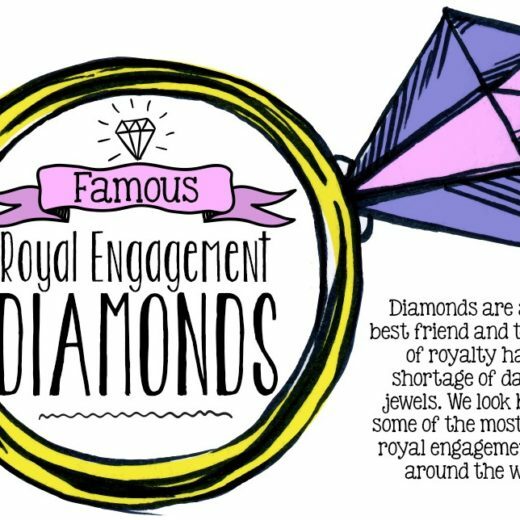 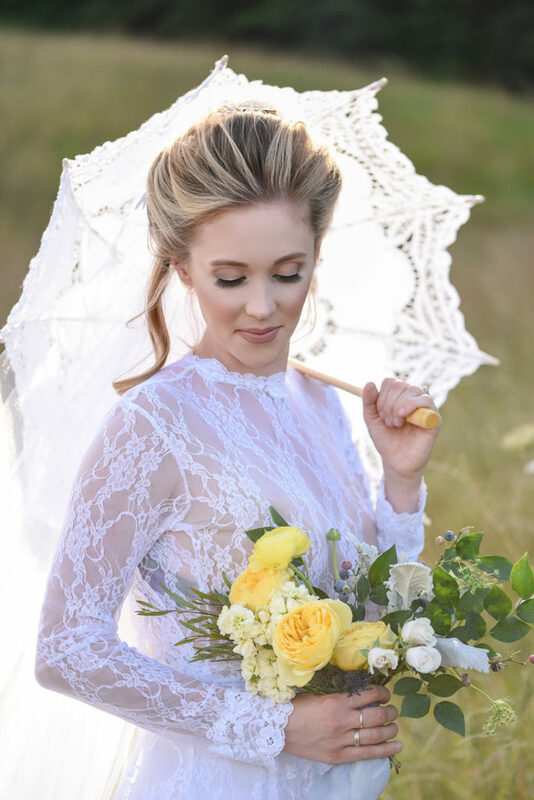 The Victorian Era evokes scenes of demure grace, unaffected charm, and sweeping romance. 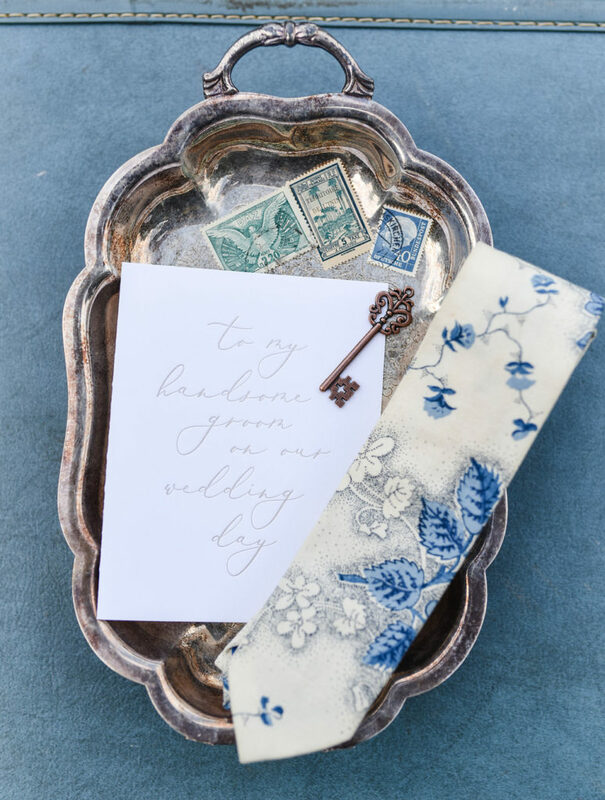 Sydney Danielle of Radiant Photography perfectly captured the beauty of the Victorian Era in this styled shoot which she said evolved from her fascination with the Biltmore House, the Titanic movie, and her love for antique stores. 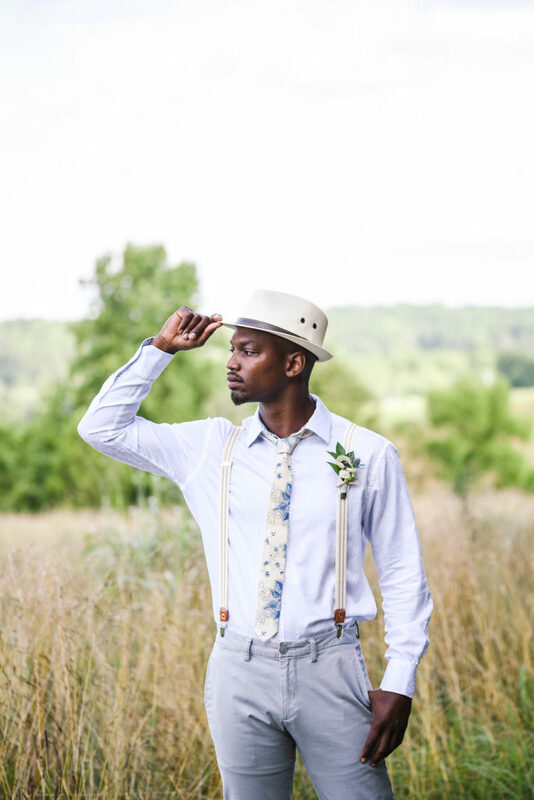 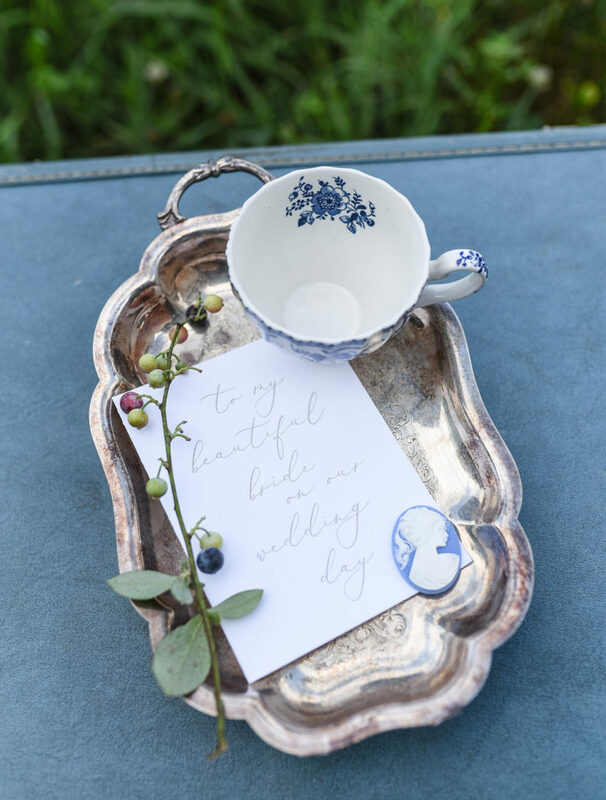 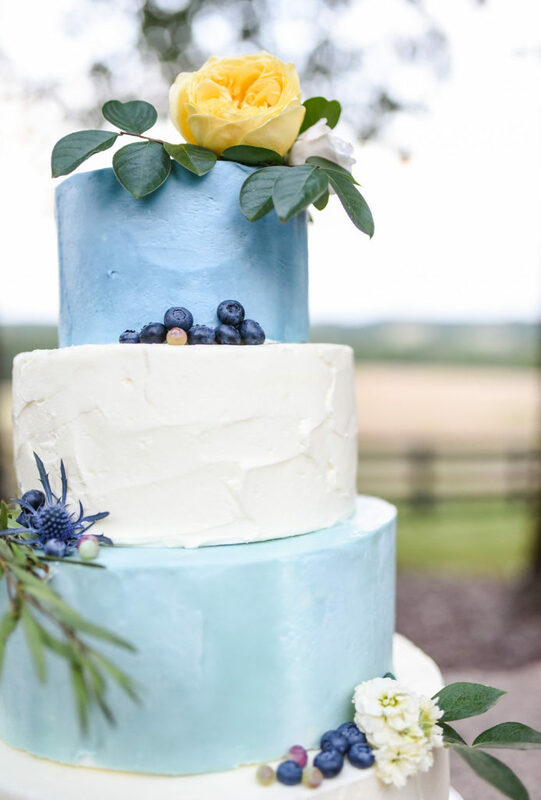 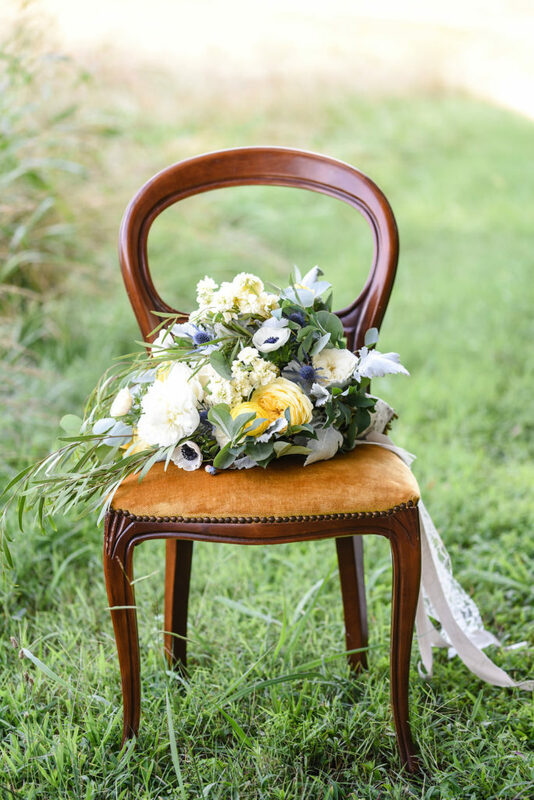 This wedding inspiration showcases fresh blue and white details, vintage elegance, timeless antiques, and a bit of a British Royals/romance novel vibe. 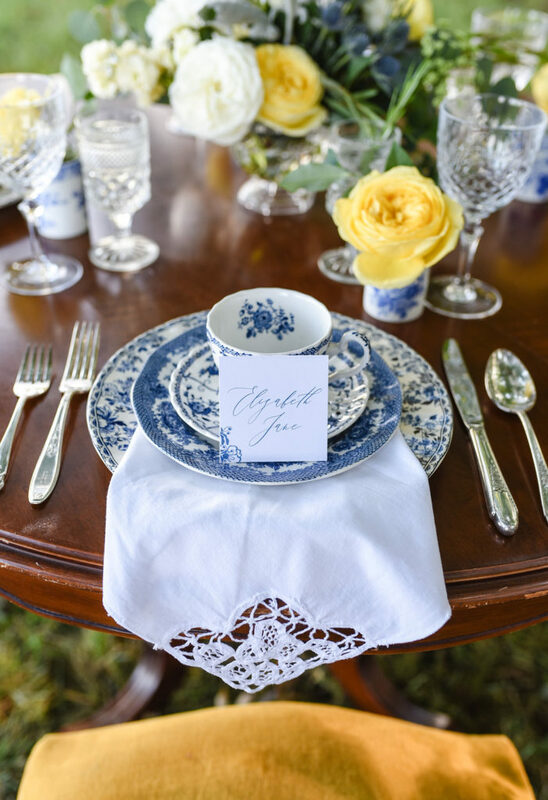 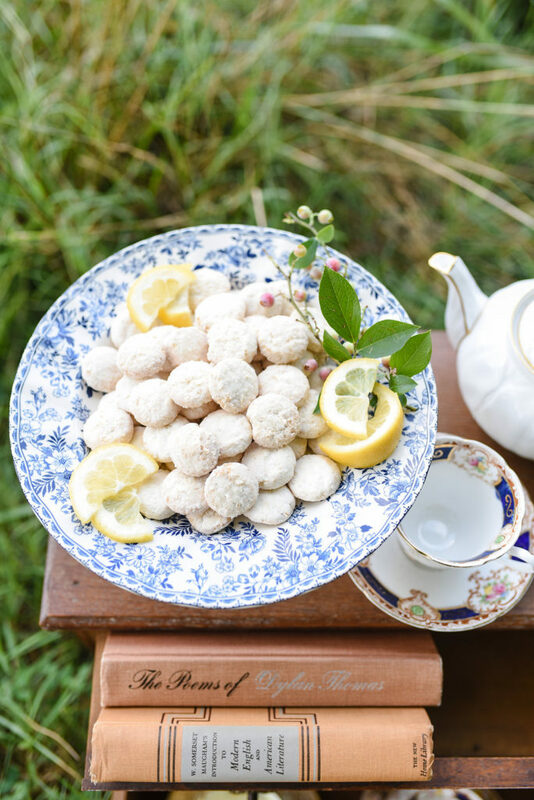 All of the vintage china actually came from the UK and was sourced from one of the participating vendors. 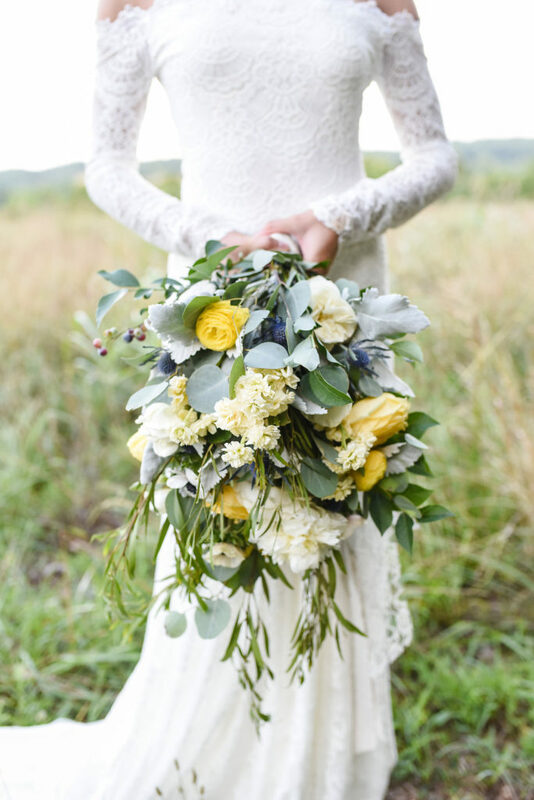 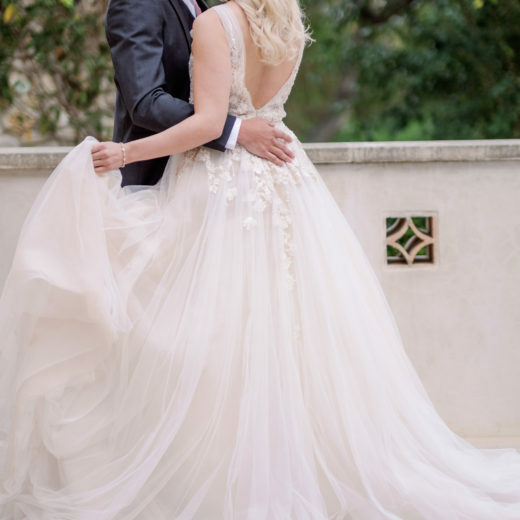 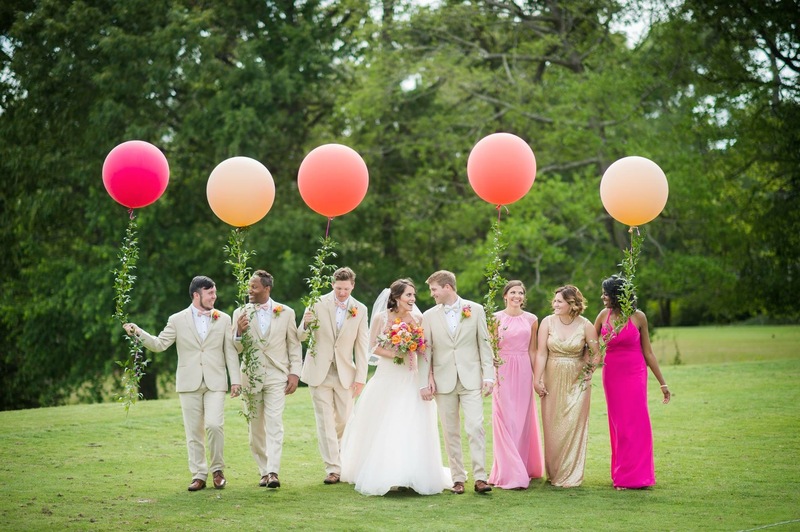 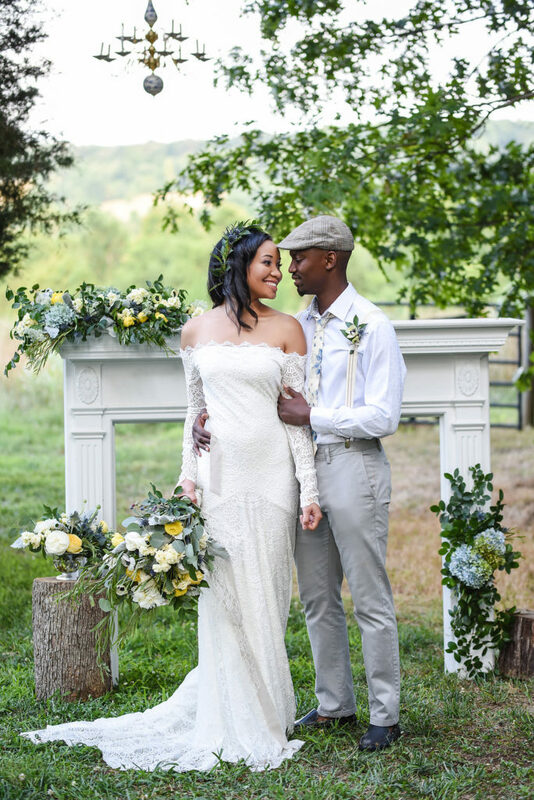 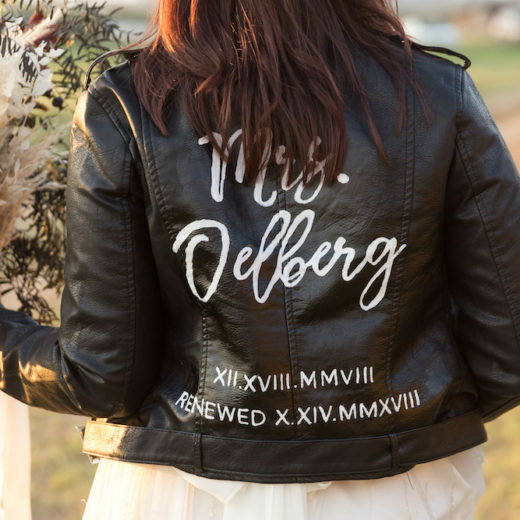 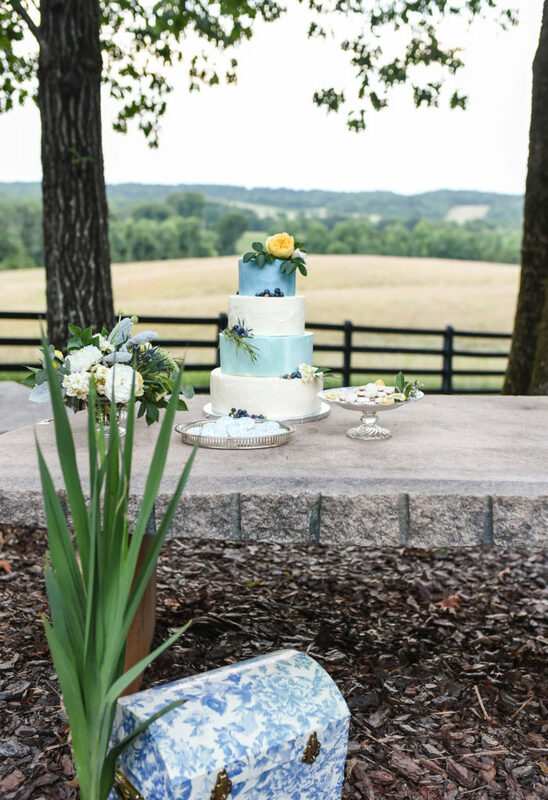 Floral details incorporated garden roses, peonies, white anemones, and eucalyptus set against the rolling hills of the Carolina landscape. 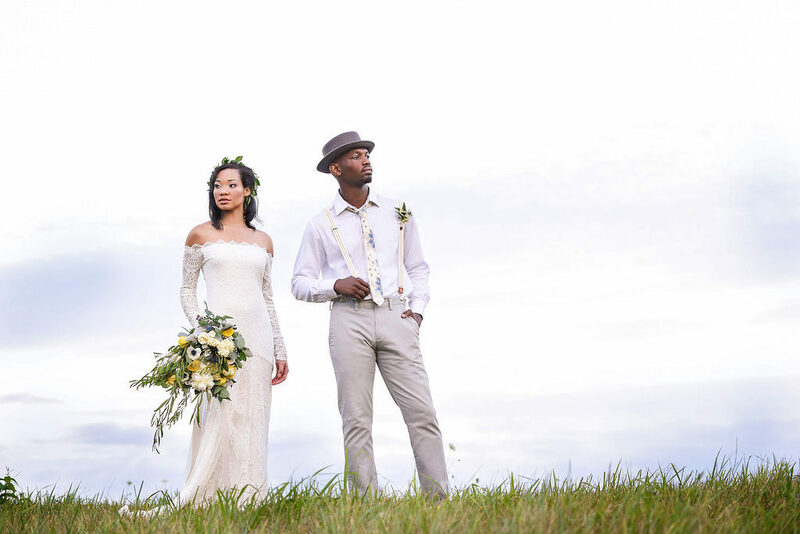 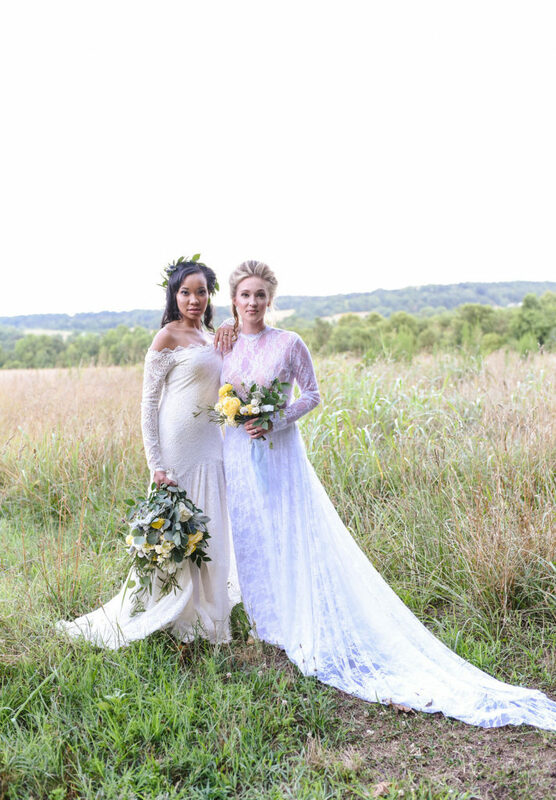 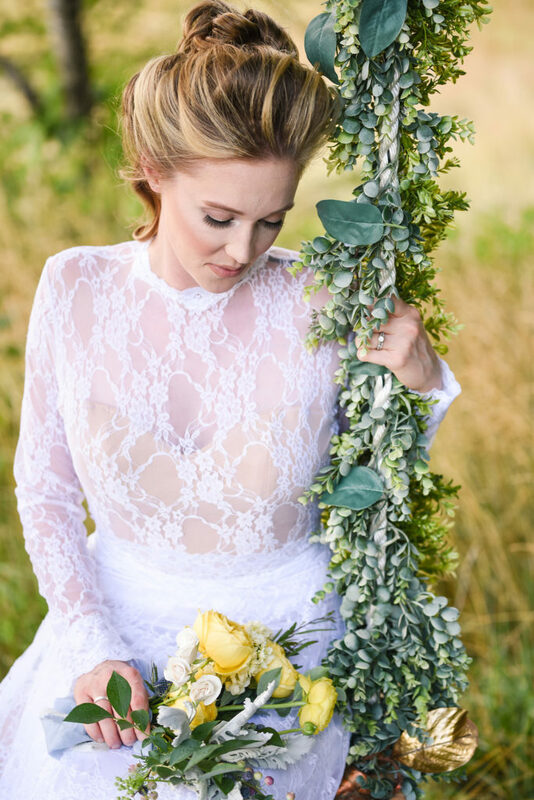 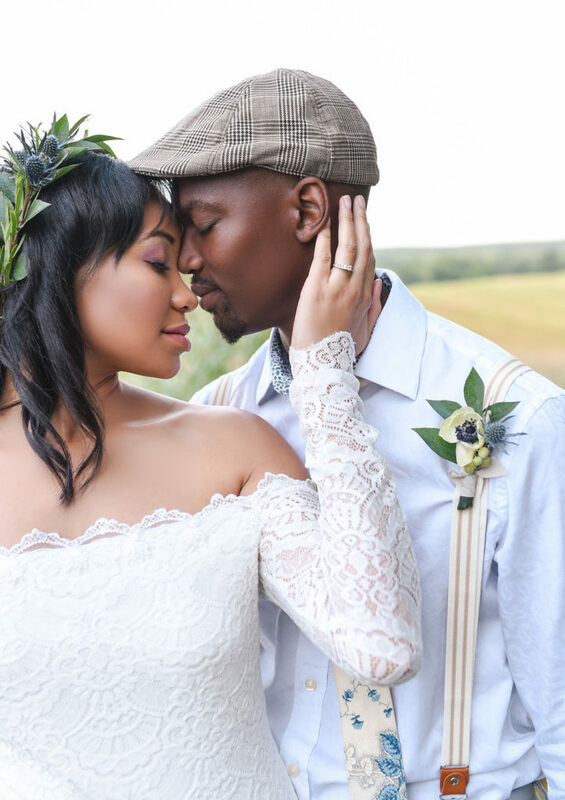 The featured bridal gowns showcased modern cuts and necklines while retaining a timelessly lovely affect with their lace detailing and simple elegance. 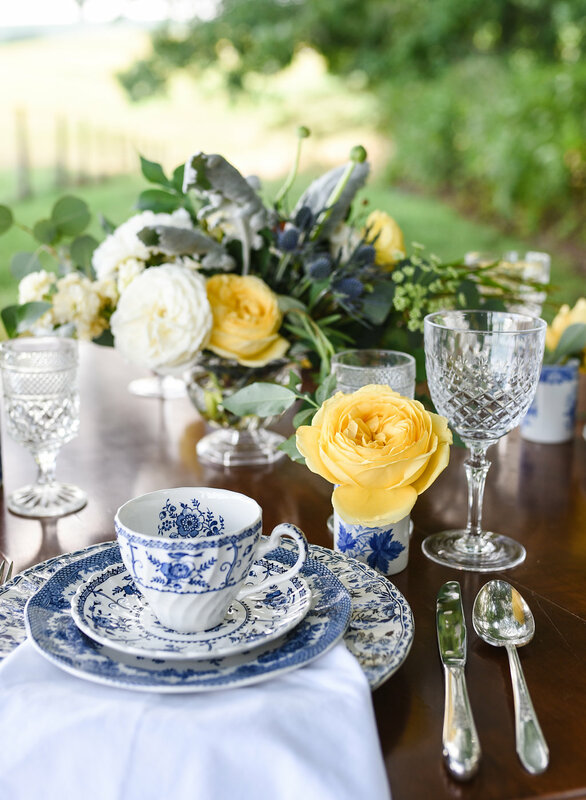 The Victorians were the first to bestow flowers with meaning, and they made yellow roses the symbol of joy, wisdom, and power. 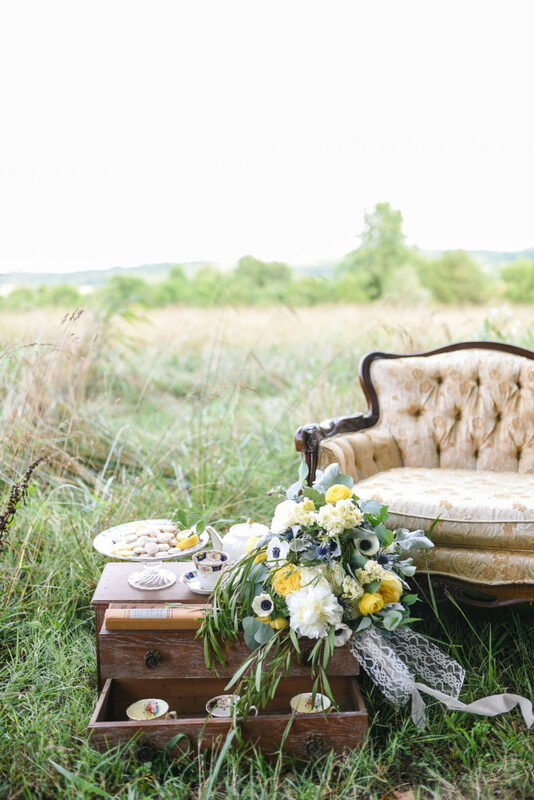 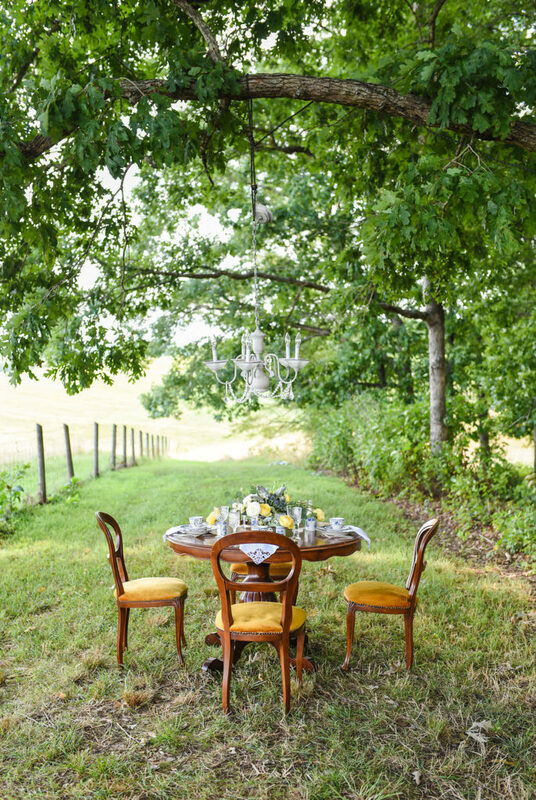 Yellow roses are the perfect finishing touch for this modern Victorian shoot.